The Sebring is on Sale Direct from Yowza! The Sebring is the top folding model from Yowza Fitness. These machines are best known for their stable design and impressive folding feature. The Sebring folds up to 24×33”, so it’s a great option for people with space limitations. It is built to withstand serious running and the shock absorption provides a comfortable exercise experience. You may be interested in their other folding models: the Lido and the Osprey. The machine is manufactured by a Taiwanese company called GreenMaster, who has been making great treadmills for over 25 years. Yowza Fitness is known for their low maintenance machines. However, we’ve been disappointed to see a lot of changes occurring in this company within the last year. NOTE: The folding machines from Yowza fold up incredibly small, but you may also want to check out options from ProForm. They are competitively priced and a well-established company. Transformer Design – This machine folds up to a size of 24×33”. Unlike some other folding treadmills on the market, the Sebring can be truly “put away” when not in use. This is a great feature that sets it apart from other folding models. Intelligent Weight Management Equipped – This feature is a Yowza Fitness specialty! Your purchase will include a weight scale that wirelessly transfers your daily weight to the Sebring Treadmill. Based on your goals, the treadmill will adjust the intensity of your workout so that you can maintain your ideal weight. Progressive Shock Absorption Deck — Ideally, you want a deck that absorbs the impact of stride while giving you a solid push-off. The Yowza Sebring treadmill has rubber grommets every 5″ that get progressively softer as you move up the front of the deck. This results in more shock absorption as your foot lands and a firmer push-off towards the back of the deck. Speakers with MP3 Input — The sound isn’t going to compare to your home stereo, but it is better than many treadmill sound systems. There is a dock for your iPod. 3.0 Continuous Duty HP Motor — This particular brand of the motor is used by a number of other companies and has an excellent service record. That is why they offer a lifetime warranty. The motor is sufficient for walkers and runners. Programs and Console – The Sebring can store the profiles of nine users and comes with sixteen programs with varied intensity settings. The console also has plenty of storage for your water bottles or other items. The machine goes up to 11 mph and has 12 levels of powered incline. 20″ x 55″ Running Surface — This is by no means the longest deck you will find in this price range. However, the quality of the shock absorption makes up for the length. If you are a very tall person who plans to run, you might consider one of the non-folding Yowza models with 60” or 63” long decks. Warranty — An indication of the durability of the Yowza Sebring is the lifetime motor and frame, 5-year parts and 2-year labor warranty. 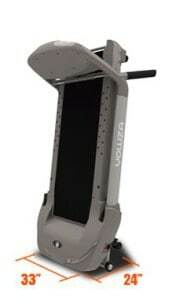 For the money, you are getting a fairly rugged treadmill with the Yowza Fitness Sebring treadmill. 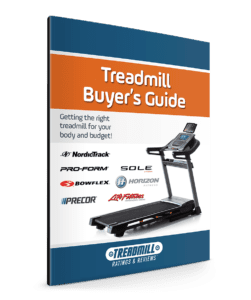 The quality and the durability of most treadmills in this price range are often questionable. We especially liked that this treadmill can fold up to such a small size for easy storage in smaller homes. With the Sebring you are paying for low-maintenance and reliability. It is a straight forward machine with a great folding feature that has quality components. In contrast, some brands at this price point include many ‘bells and whistles’ at the expense of the overall quality. Also check out some competitively priced folding options from ProForm.